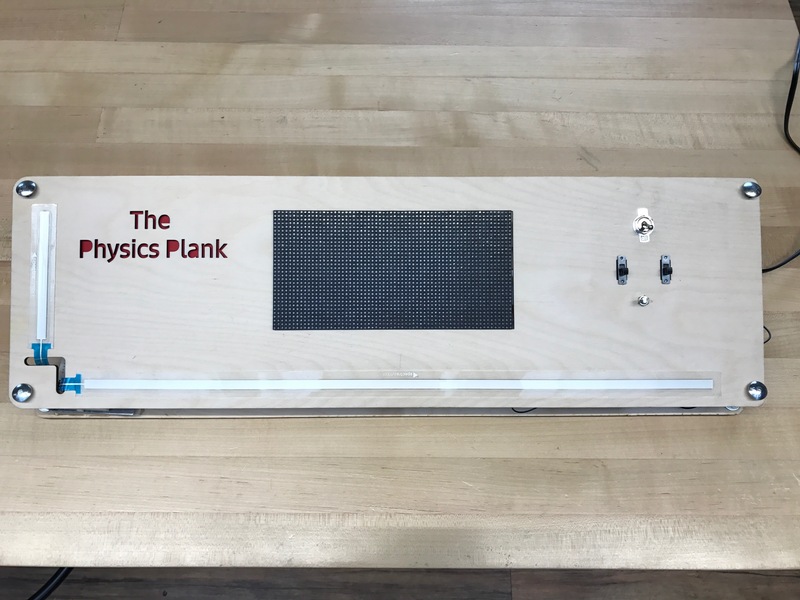 The Physics Plank 2.0 consists of an Arduino Mega, one long ribbon sensor, one short ribbon sensor, a RGB LED screen, a power outlet plug, a breadboard, and wires. This device is powered by an outlet rather than the USB connection that the previous iteration had. The functionality of this device consists of a dynamic visual response from the RGB LED screen that correlates to the frequency that the students move their fingers to across the device. Above is a timelapse video of the device in action, below is a photo of the device.